Healthy turmeric ginger pickle – we all know health benefits of turmeric. it is a very important ingredient in most of the Indian recipes and a must in Indian spice box. It is anti-inflammatory, antiseptic, protects against cancer, heart problems, and Indigestion. Same can be said of ginger and garlic. All these foods are super foods and help to keep us healthy. 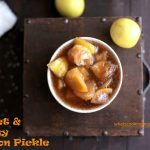 The best thing about this pickle – all the ingredients are in their raw form and hence we can enjoy their maximum health benefits. It is also very difficult to make your kids eat these pickles. Adding green chilies takes care of that. 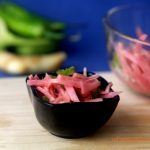 This pickle not only increases health quotient of your food but also add spice and flavor to your daily meal. 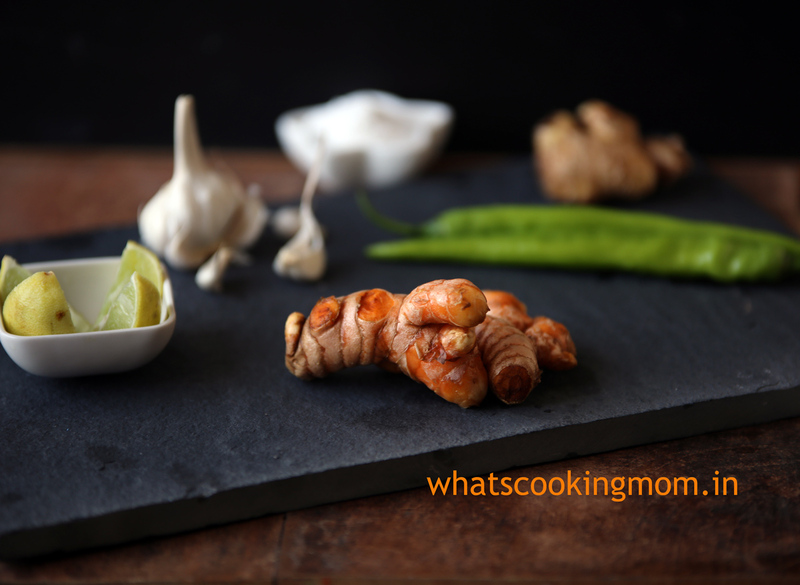 We have used fresh turmeric in this recipe. 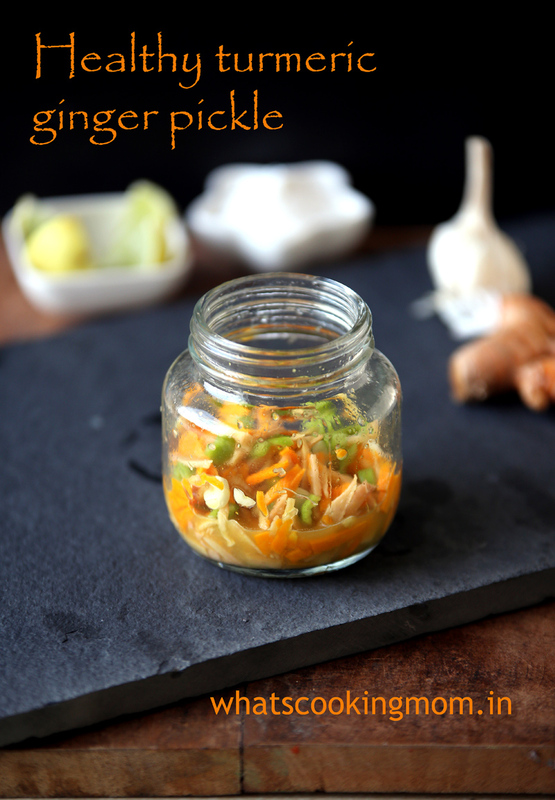 I used to make instant ginger pickle regularly. when day when I was discussing the health benefits of fresh turmeric with my aunt in law( who taught me to make amla candy) she suggested adding garlic and fresh turmeric/haldi to ginger pickle. 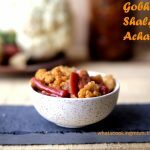 note : use only fresh turmeric/haldi for this recipe not dried one. 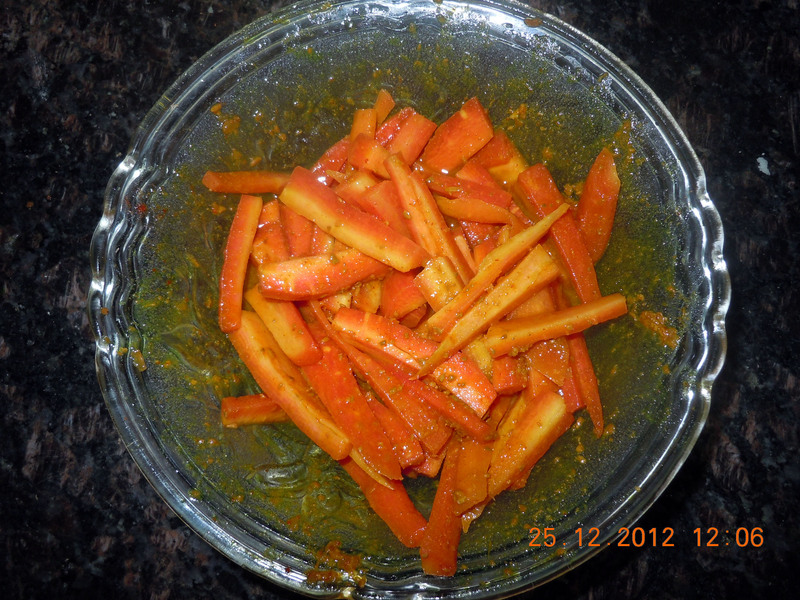 fresh turmeric/haldi will stain your hands and knives so it is better to use gloves. The stains from your hands will take a day or two to fade. 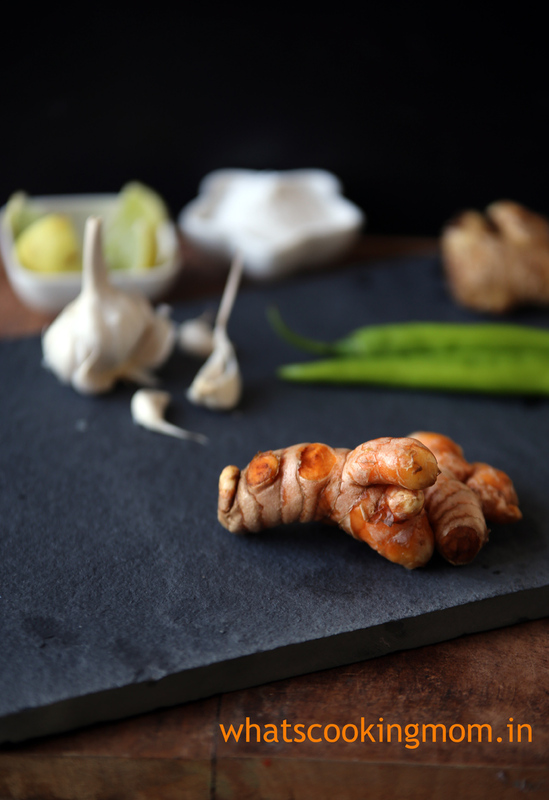 Wash, peel and cut ginger and turmeric into thin strips. 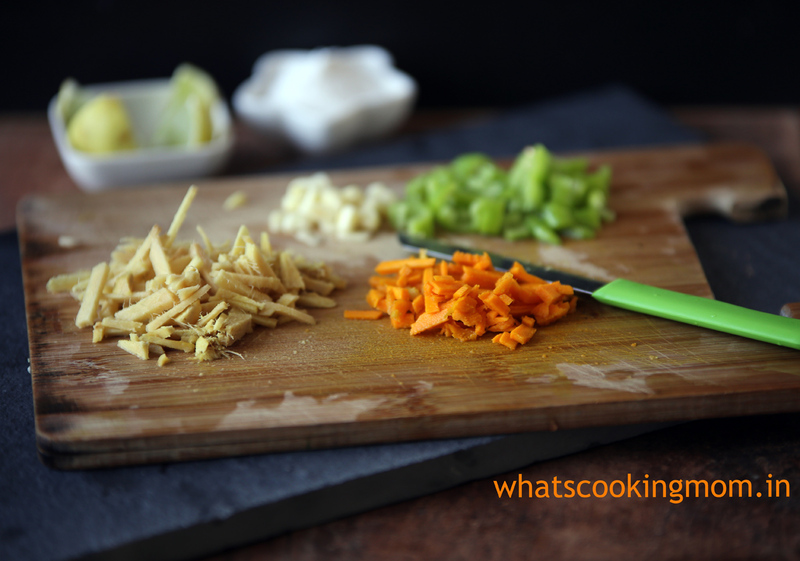 Chop garlic and green chilies. 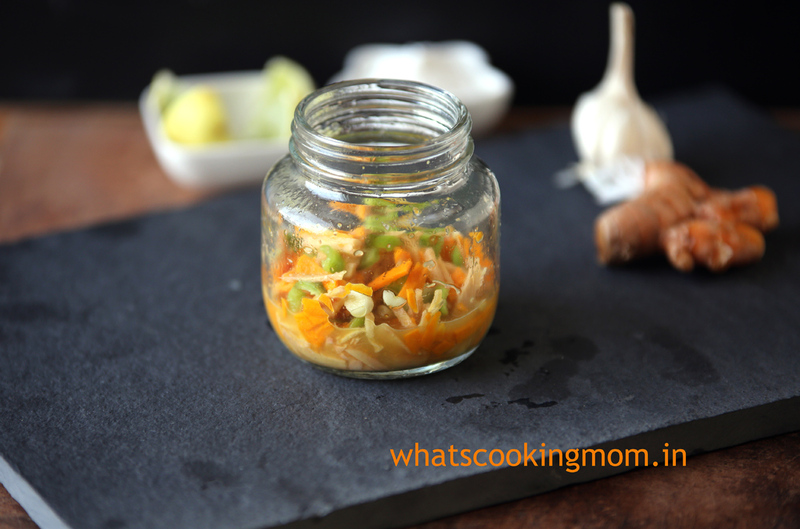 Add julienned ginger, turmeric, chopped garlic and green chilies in a glass jar. First, add salt and mix thoroughly. Add lemon juice and again mix thoroughly. leave on counter for 1-2 hour for all the flavors to blend. 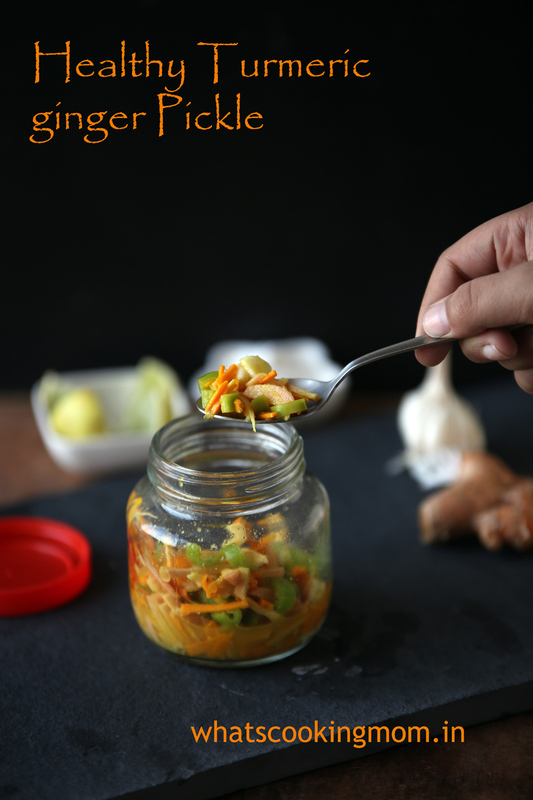 Healthy turmeric ginger pickle is ready. keep the pickle in a refrigerator. stays good up to 2 weeks. 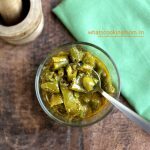 you can have this healthy pickle with dal, chawal, roti subzi, parantha or pulao. this pickle looks amazing and ii am sure it tastes the same. the pictures are attractive ,i am sure i am gonnna try this at home.